Big news – we just got the keys to our new Campaign HQ in Dorchester! Ok, I know this doesn’t look like much right now. But wait until the people come. I remember exactly what it felt like to walk into the office five years ago. Our campaign was in high gear, and the was room buzzing. People would tell me: I worked to elect Ted Kennedy. Or: I knocked doors for Deval Patrick! Or: I’ve never done anything like this before in my life (neither had I!). Whatever their history, they were in this fight because they believed in what we were fighting for. 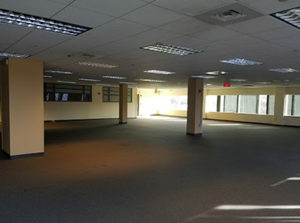 In the days, weeks, and months ahead, this empty office will once again be filled with campaign staff, posters, yard signs, and volunteers from across Massachusetts fighting their hearts out to level the playing field across the Commonwealth and across the country. I get goosebumps just thinking about it. Let me be clear: This office doesn’t belong to me – it belongs to the people of Massachusetts. It belongs to the working families here and everywhere who just want a fairer shake. And it belongs to you. 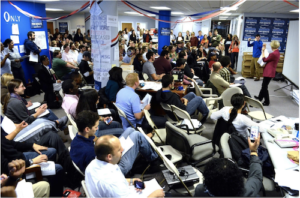 We shocked everyone when we built the biggest grassroots campaign in Senate history in 2012. And if we’re going to do it again in 2018, it will be thanks to the work being done in this office and across the Commonwealth by the staff, volunteers, and supporters who fuel this campaign. We’re going to build something great in 2018 – and I hope you’ll be a part of it too.